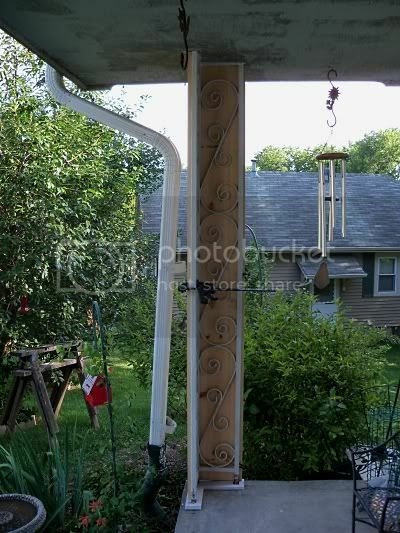 We got a good start on building sleeves around our old iron porch posts. 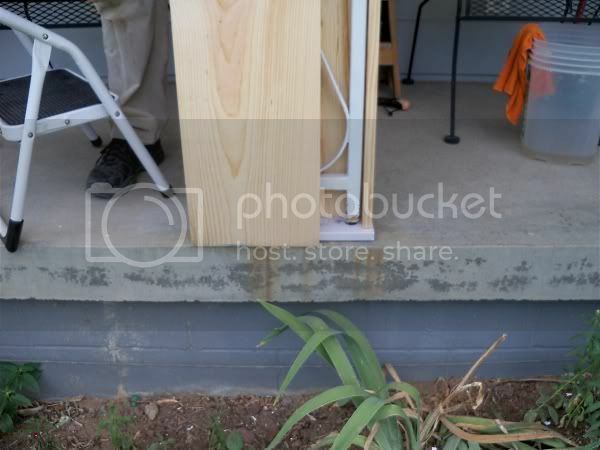 We started by making a PVC base plate to keep the wood off the concrete (PVC board). Lots of gorilla glue and use of the brad nailer later, we were putting the final side on our cover. 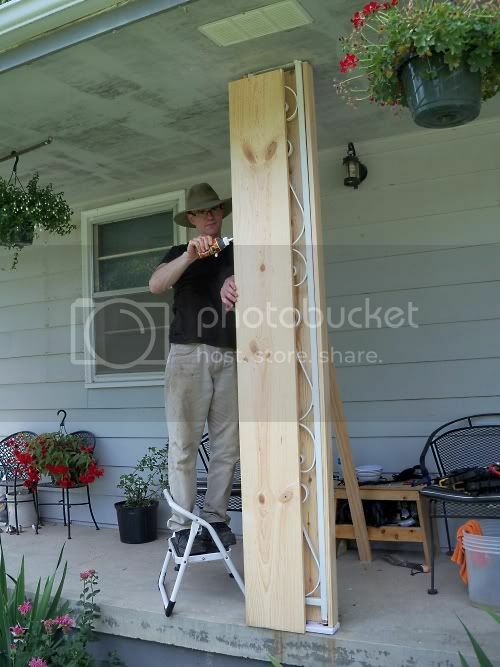 We got started on the corner post, but ran out of time to work. But you can get a little bit of an idea how it will go together. Still have to finish the corner cover, then we'll prime & paint. 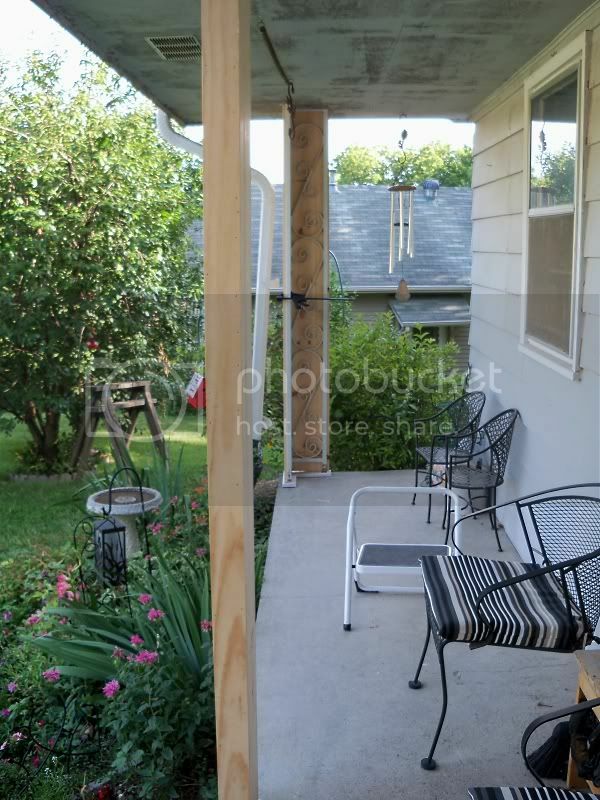 We decided to cover what we had instead of putting up 6X6 posts to save room on our porch. It gave us a little more walking room to get by the posts since the porch isn't very deep. Yup that looks really great. You could paint it with a marine finish that would last a lot longer. 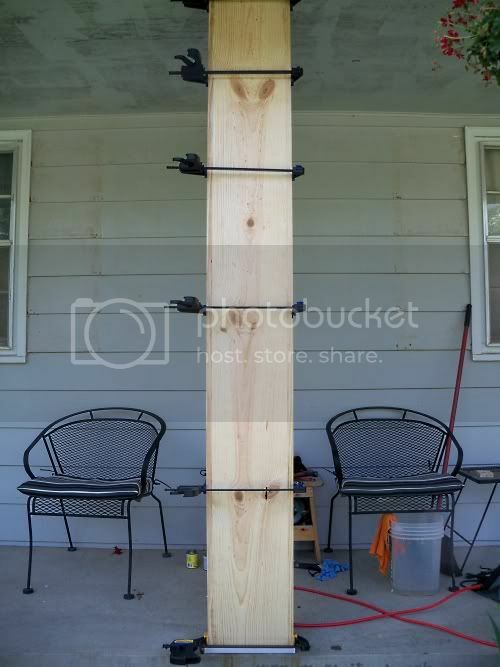 Never thought about doing this to the posts. 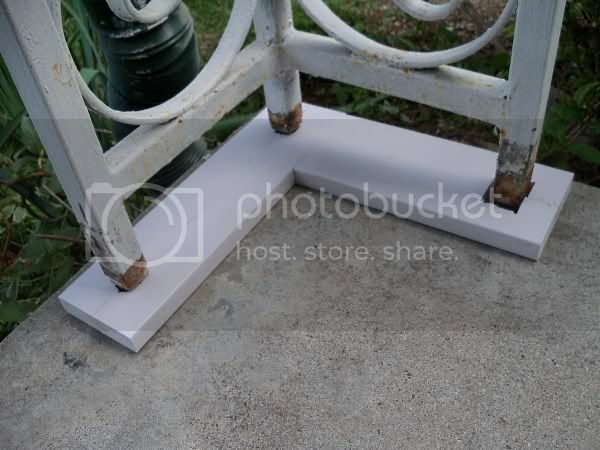 We had rusted metal posts, but we just had them changed out with better design. This is a good idea.